Bernard Lansky was born on November 21, 1924 in Omaha, Nebraska, and moved to San Diego, California with his family in 1937. Lansky attended San Diego High School where he did cartooning for the school paper, the Russ, and during his senior year expanded his role to humor editor. He was also an accomplished athlete, winning blue ribbons in track, and active in school politics as freshman and junior class president. Heywood Hale Broun, at the time a renowned journalist and editor of the Fort Bragg newspaper, who eventually became a widely acclaimed television commentator. 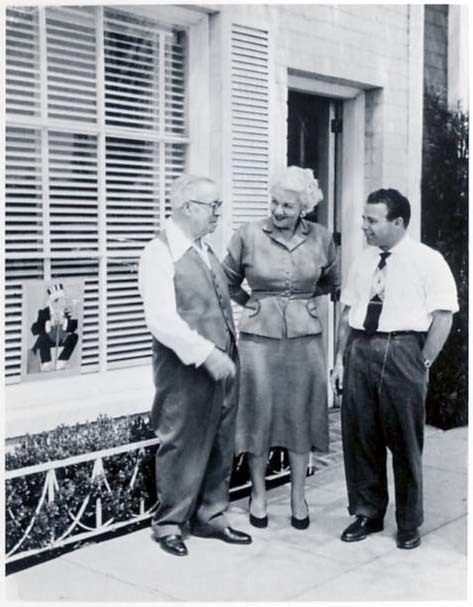 Broun thought enough of Lansky’s work to send it to Yank Magazine in New York. Yank published a spread of Lansky’s cartoons in 1944. Lansky quickly realized that the Army was not for him. Nothing proved this more appropriately than his reduction in rank from private first class to private for producing an unflattering caricature of a captain that Lansky found an excellent subject for pen and ink. In November 1945, the war was over and Lansky returned to San Diego where he set up shop as an independent cartoonist. His work quickly gained exposure and in 1949 he moved to New York City to work for Cap Enterprises, a company that controlled the distribution of novelty items for the Lil’ Abner comic strip. In 1951, Lansky returned to San Diego to continue his independent cartooning career with a goal to produce and sell his own comic creation. His work was soon recognized by Zeke Zekley, long time assistant to George McManus who was the creator of "Brining Up Father,” [image 1, image 2] and was invited to work in Los Angeles. 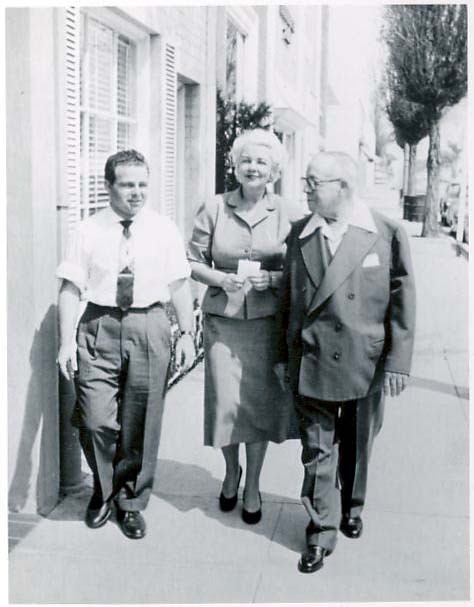 Lansky moved to Los Angeles in 1952. In 1955 Lansky sold his first comic panel, “Seventeen”, to the Times-Mirror Syndicate. “Seventeen” centered around a teen-aged character named Sheldon, his mother and father, his girlfriend Lori and a pal named Tank. The San Diego Museum of Art exhibited a collection of "Seventeen" original works in 1964. The comic panel enjoyed a significant and popular 20-year run and gained international acclaim before Lansky retired the panel in 1976. 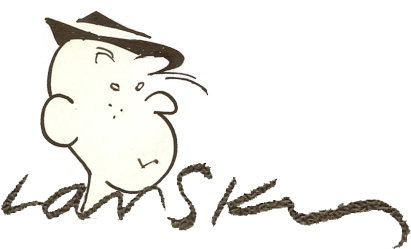 In 1960, Lansky, along with his younger brother Jordan, created and sold the comic strip “Kippy” to Universal Press Syndicate. 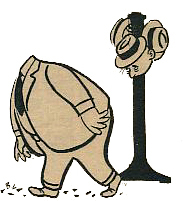 “Kippy” was a comic strip based on children and their perceptions of the adult world. It is worth noting that syndicates receive upwards of 10,000 submissions per year, and of those submissions only 2 or 3 are selected by the syndicates. Lansky, in a stretch spanning only 5 years, sold 2 different comics to 2 different syndicates and had them running in parallel. This is a rare occurrence in the world of comic syndication. In 1976 after retiring the comic panel “Seventeen,” Lansky went to work at the San Diego Union, owned by Copley Press, as an editorial and feature cartoonist. During this time he also produced illustrations for other Copley Press publications and wrote book reviews. 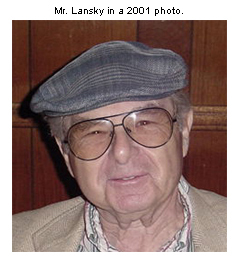 Lansky retired from the San Diego Union in 1992. Bernard Lansky died peacefully on December 12, 2004. On December 12, 2004, Bernard Lansky died from complications related to Parkinson's disease. This website, in part, is an attempt to honor the many years of Bernard Lansky's talent and dreams, and to share his story with his friends and fans. We ask that those wishing to honor the life of Bernard Lansky to please consider a donation to the Milt Gross Fund. The Milt Gross Fund is the National Cartoonist Society's indigent fund, and is supported by NCS activities and voluntary donations. The Fund's primary mission is to assist qualifying cartoonist members or their survivors who are in financial difficulty. In some cases, hospital and burial expenses have been met by the Milt Gross Fund. The Milt Gross Fund is a registered non-profit 501(c) and all donations are tax deductible. Personal checks are fine. Please use the contact form on this website if you wish to send us comments regarding this website or Mr. Lansky's work. We guarantee that all comments will be read.